Employee engagement is often overlooked or seen as the “final step” that companies think about after they’ve met key business objectives. In the context of communication and marketing, most firms initially prioritize a brand strategy that will appeal to the external audience they’re trying to reach. But how can you convince your customers of your value if your employees aren’t engaged and fully bought in to your brand first? For many products — particularly in the B2B space — customer service is one of the key differentiators when deciding between one brand or another. If you’re choosing between similar products, you’ll consider the quality of service one brand provides over the other. This consideration is exponentially more important if your product is your service, which is true for AlphaSights. We help professionals succeed by connecting them to the knowledge they need to make the best decisions. We can only do that through trusting and productive client relationships and high-touch service. In order to be a successful service provider, we need to first win over the hearts and minds of the people who provide our service to clients every day. Have you ever noticed that you can hear someone smiling over the phone? We pick up a lot of cues about someone’s mood and engagement just by the slightest shifts in their tone of voice. If such subtle cues are evident, imagine what client service teams, customer service representatives, in-store sales associates, and others can convey to customers through repeated in-person, phone, and digital interactions? When an employee is excited about what they’re doing and believes in the value and impact of their work and the company as a whole, it’s much easier to get customers to buy into the company’s vision and value as well. You can feel the energy from an engaged employee. But to build engagement, companies have to continuously put their employees first. AlphaSights promotes a strong ‘client-first’ mentality. 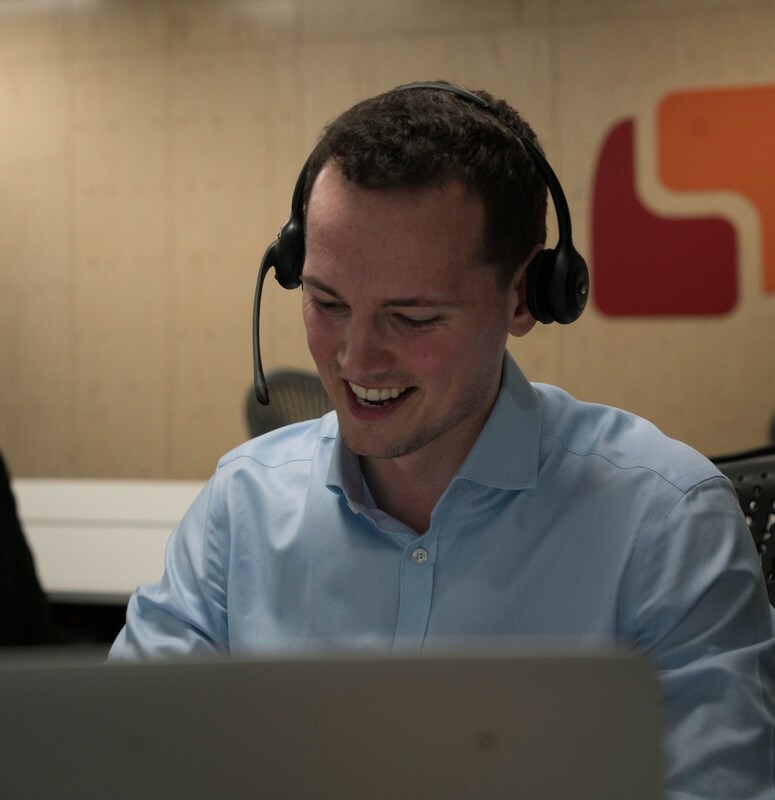 Our client service teams put their clients first day in and day out to ensure that we’re providing the best and most timely service to our clients. Our specialist functions serve clients as well: the employees at AlphaSights. The communications team, specifically, is dedicated to creating an environment where employees feel engaged, connected, valued, and informed. We first and foremost, prioritize our internal clients before external-facing projects to ensure that our employees are taken care of. Our belief is that we’ll build the strongest brand by creating an engaged workforce who delivers an exceptional experience to our clients. This may seem extreme, but in reality it’s impossible to communicate your brand’s vision and value if you have disengaged employees. Our communications team was started a few years ago and at that point the company was about 350 people across 8 offices. The team began rolling out initiatives to illustrate the impact of employees’ work, establish a standard communication platform and strategy, and foster personal relationships in the office. Now AlphaSights is over 600 people and spread across 9 offices worldwide, presenting an interesting challenge for employee engagement: scalability. It’s easy to engage people who sit right next to each other or even a floor below each other. But how do you engage people when the company begins to scale quickly, hiring many new people in new offices all over the world? It’s important to build a network outside of the colleagues you work with every day. Meeting others who are outside of your usual circle at work sparks professional development and learning in other areas of interest as well as friendships that wouldn’t have formed otherwise. We began connecting people based on different cohorts in the office. Employees have access to multiple cohorts such as their hiring classes, the people who attended the same school as them, and the option to join affinity groups like Charity House, Women’s Initiative Network, or the company soccer, softball, or basketball team. We also started doing paired team events so other teams could meet and hang out with each other outside of work. Over the years, senior leadership and the communications team worked closely to implement various strategies to keep employees satisfied, engaged, and informed about the state of the company and what’s coming down the pipeline. 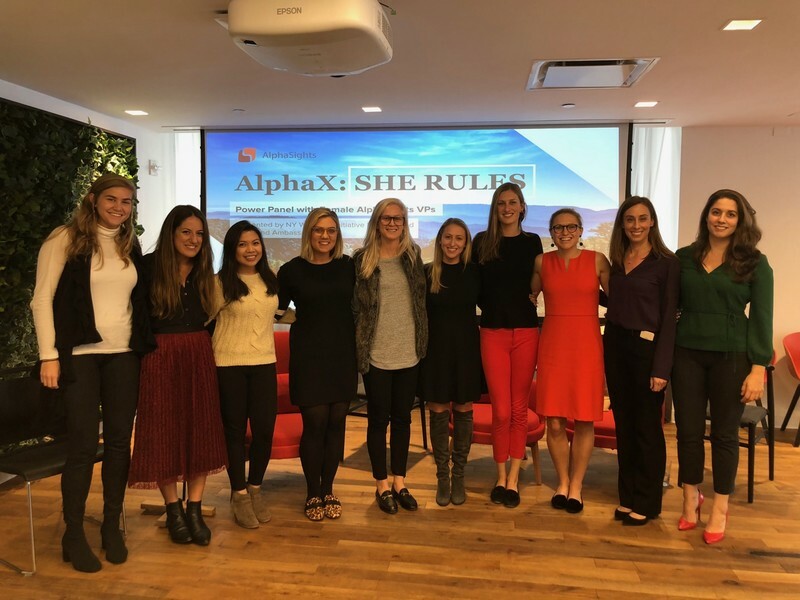 We’ve produced Slack campaigns and used digital screens around the office to promote best work practices, AlphaSights’ core values, company-wide announcements, event promotion, employee recognition/wins, and more. Employees now post to Slack channels on their own to share wins and promote thought leadership, exemplifying a personal dedication to celebrating others and furthering learning across the company. Not only does employee engagement promote a brand from within, but it’s also crucial to build candidate attraction and reduce employee attrition. Candidates feel the energy in interviews when employees describe what they do every day and the impact they make. Employee satisfaction determines a company’s culture and what ultimately attracts and retains top talent, especially at a high-growth firm. Our team’s goal is to continue making AlphaSights a welcoming, productive, and challenging place to work for many years to come. Tessa Tinney is the Vice President of Communications at AlphaSights. She focuses on building our internal and external brand and culture and is based in the New York office.